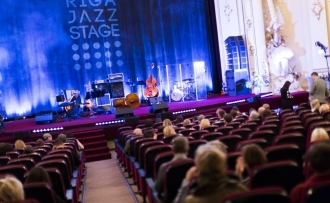 From April 4 to April 6 at the cinema „Splendid Palace” Jazz Artist Contest „Riga Jazz Stage 2019” takes place! 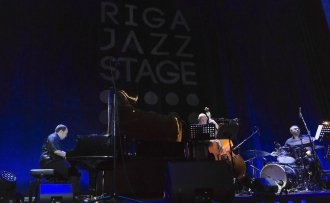 April in Riga comes with jazz – “Riga Jazz Stage” brings together Latvian and foreign jazz talents! This year we will hear 25 vocalists and pianists from 14 countries. This year comes with novelties – for the first time in the history of the contest, countries such as China, Japan, and South Korea are represented. Host country – Latvia – is represented by the largest number of participants – five young jazz performers, who have applied for the contest for the first time. On Thursday, April 4th, the audience will have the opportunity to hear all 25 jazz vocalists and pianists whose performances will be accompanied by “Riga Jazz Quartet” – Kristaps Vanadziņš (keys), Andris Buiķis (drums), Andris Grunte (bass) and Jānis Bērziņš (guitar). Participants' performances will be evaluated by an international jury of professional musicians, producers and festival directors from the UK, Japan, Italy, USA, Turkey, and other countries. The finalists selected by the jury will perform at the Finale concert on Friday, April 5. On Saturday, April 6, the Gala concert will be accompanied not only by the laureates of the contest but also by the contests’ Artist in Residence – Portuguese jazz diva Maria João with her jazz and electronic music project “Ogre Electric Trio”. 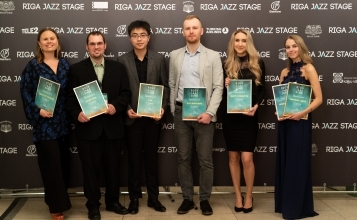 „Riga Jazz Stage” prize fund consists of valuable cash prizes and invitations to perform at Latvian and world jazz events. Maestro Raimonds Pauls will present his sympathy prize, but the long-standing partner of the contest – company “Tele 2” – will present the audience's vote, following the results on the contest website www.rigajazz.lv. Young jazz talents will be invited to perform at jazz festivals – Rigas Ritmi Festival, Venezia Jazz Festival, Jazz Time, Kaunas Jazz. Emerging talents will also receive an invitation to perform at world-famous jazz clubs “Ronnie Scott's Jazz Club”, Lincoln Center in New York, Nardis Jazz Club in Istanbul and many more. 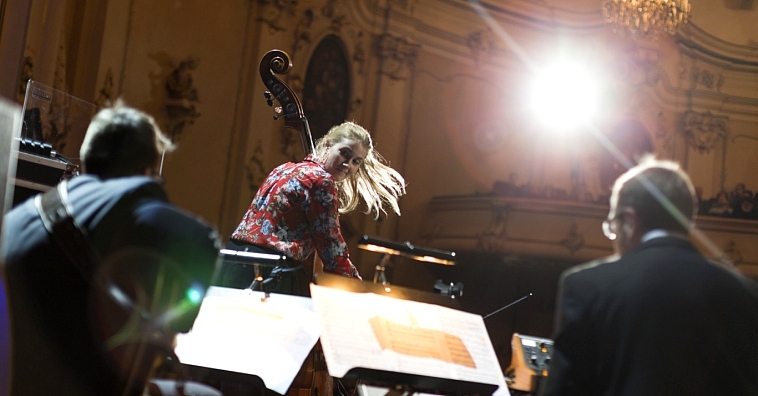 Organized by foundation “Contemporary Music Center” the contest has taken place since 2004. Over these years it has been a unique opportunity for the emerging jazz performers – vocalists and instrumentalists – from all over Europe to present themselves in front of music experts and wide audience. Such bright Latvian jazz music performers as Intars Busulis, Ieva Kerēvica, Jānis Stībelis, Kristīne Prauliņa, and Daumants Kalniņš have taken part in the contest over the years. The contest is supported by the State Culture Capital Foundation, Riga City Council, Live Riga, Freeport of Riga, company “Olainfarm”, company “Tele 2”, A&T Trade Music, restaurant “Kaļķu Vārti”, hotel “Europa Royale Riga”, Turkish Airlines”, jazz club „Trompete”. Informative supporters – Latvia Radio, XO FM, Riga This Week, 360 Gradusov and Otkritij Gorod. Tickets available at „Ticket Service” ticket offices and online.